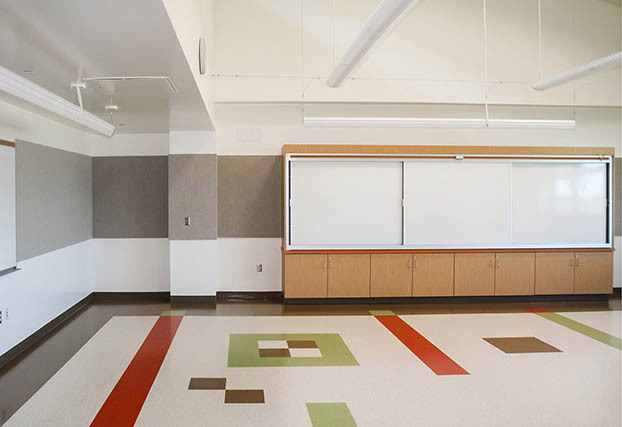 • Fabricmate’s ecologically responsible, sustainably resourced materials are recycled/recyclable and VOC free. 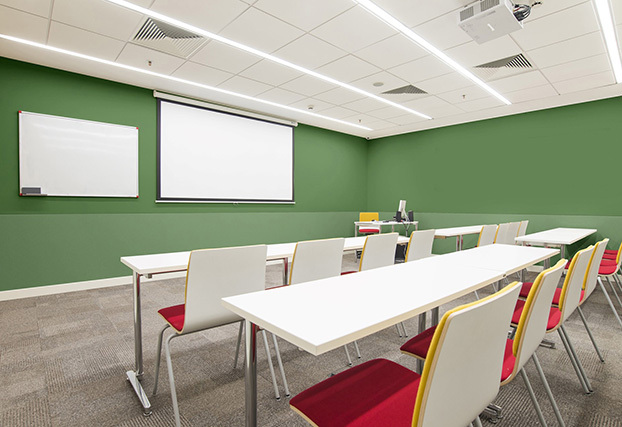 Comprised of three components - Mounting Frame, Backing and Fabric Covering - the Fabricmate Wall Finishing System is adaptable and can conform to nearly any architectural feature. 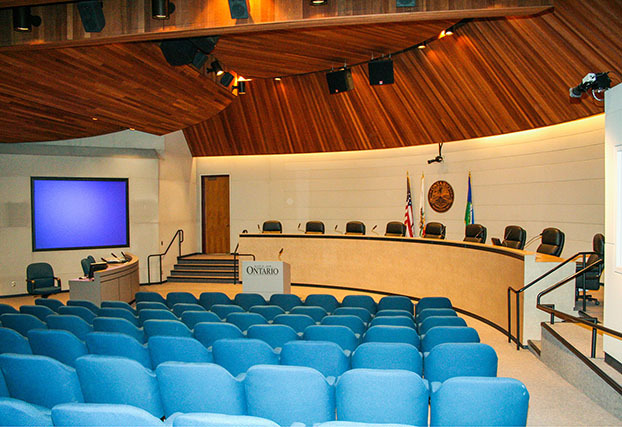 It easily incorporates different materials allowing creativity without hindering ease-of-installation. 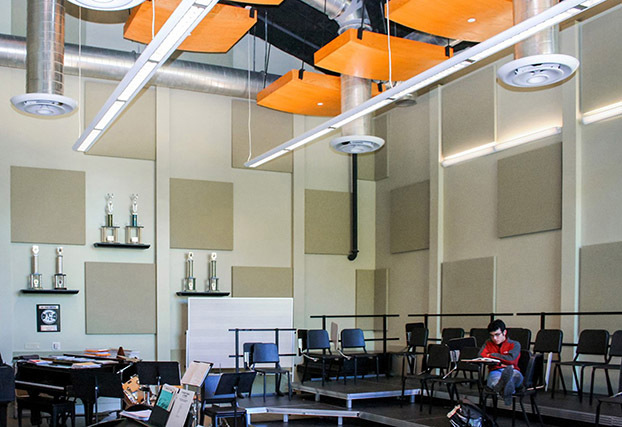 To view or purchase our high-performance acoustical wall solutions, please visit Fabricmate.com or call toll free 1.866.622.2992 to speak with an account representative. 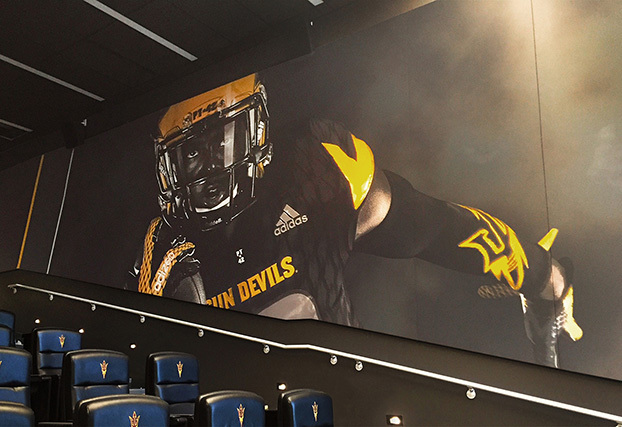 1” Acoustical Graphic Fabric Wall Panels at ASU sports training auditorium. 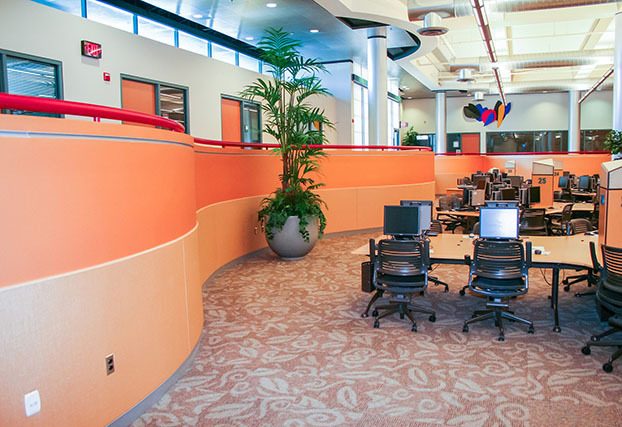 Library showing ½” Protective (bottom) and Tackable (top) curved Fabric Wall Panels. 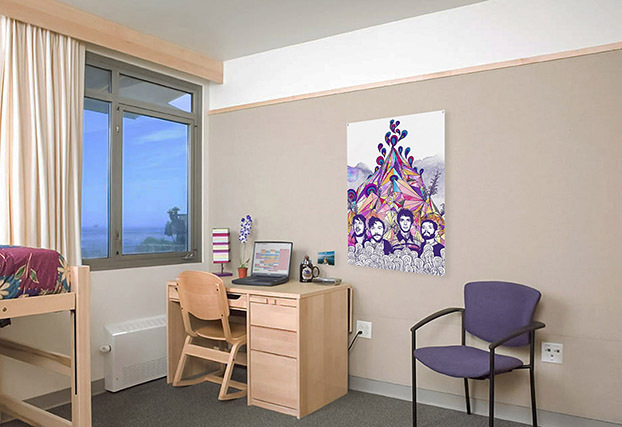 UCSB Dorm Rooms with low-maintenance, Tackable/Protective Fabric Wall Panels. 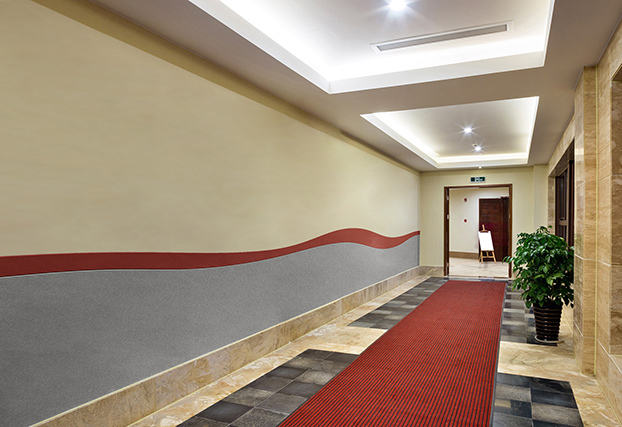 Geometric design of Durable/Protective Fabric Wall Panels for high traffic areas. 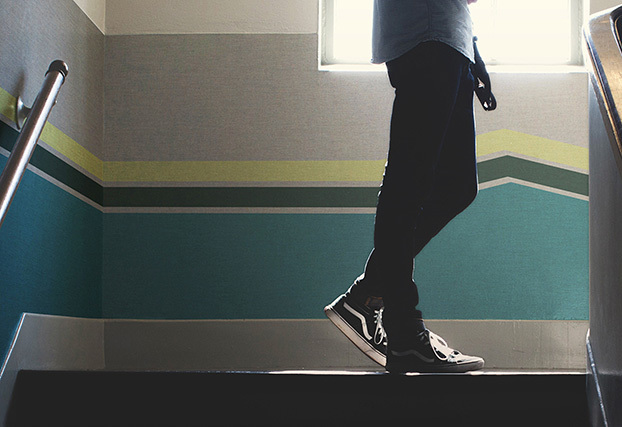 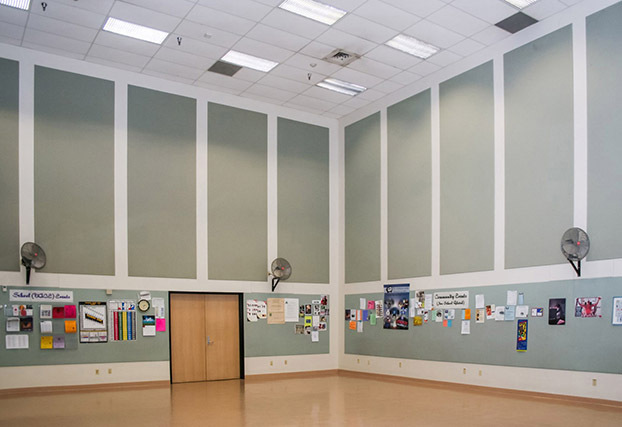 Pre-made 1” Acoustic Fabric Wall Panels used in school Music room. 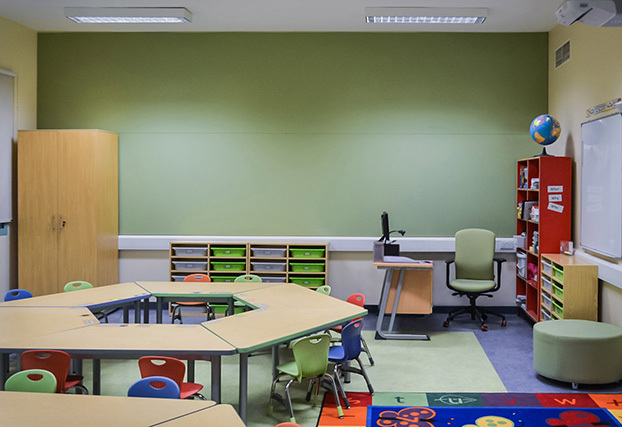 Fabricmate’s manufacturing is ecologically responsible. 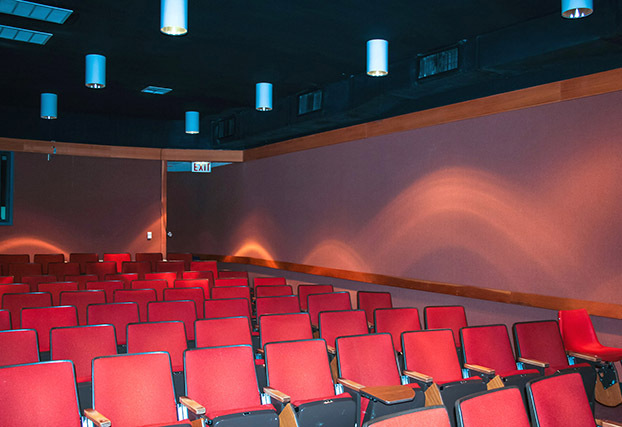 Our materials come from sustainable resources, contain post-consumer content, are recyclable and are VOC free.